Are you afflicted with DDD? Causes: Procrastination, loss of focus, inadequate or non-existent systems, uncompleted tasks, not knowing what to keep and what to toss out, not having proper supplies or adequate space. Cure: Physical therapy (as in sorting, purging, MAKING decisions, and filing) and a commitment to stick with an organizing project through completion. Possible side effects of the cure: Reclaimed time previously wasted looking for lost items, uncluttered flat surfaces, money saved by eliminating late fees and penalties, increased peace of mind knowing right where things are, feeling empowered and more in control. So how do you get DDD, and more importantly, how do you cure it? Often piles start with the inner conversation that says, “Oh, I’ll just do this later,” or “I’m too busy right now,” or very often, we just get side-tracked and turn our focus elsewhere. Understand this - DDD is not the occasional procrastination that we all fall victim to from time to time, but it is instead the delaying of decisions and half-finished projects accumulating over extended periods of time. What happens with delayed decisions as it relates to paper is the creation of a "piling system" when what we really long for is an efficient "filing system." 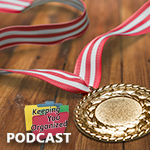 Getting organized and clearing piles and clutter requires a commitment to go through the A to Z process. It is often good to start small. Perhaps begin with a junk drawer or even the trunk of the car and keep moving forward one contained space at a time. Building momentum is the key here. 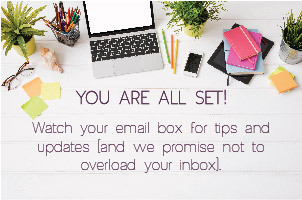 Set up systems to process paperwork effectively. Implement systems that simplify life (how about a key hook by the door?). Eliminate excess and unnecessary possessions. Commit to starting and finishing projects (or delegate). Allocate the necessary time to clear clutter. Allocate the necessary time to maintain order. Become very intentional about what is brought into your home or office. 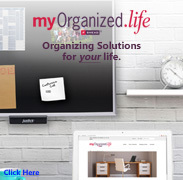 Seek the help of a professional organizer. Many people do not automatically associate disorganization with money, but there is a direct correlation. The cost of clutter and the ramifications of being disorganized for the business person often include decreased productivity, wasted time, and even loss of clients or sales. Costs to the homeowner may include money spent on mortgages, insurance, and utilities on space that is unusable due to clutter; offsite storage units; negative impact on property values; late fees and penalties; unnecessary duplicate purchases, and spoilage. 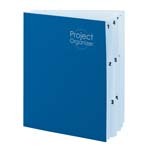 Paper is the most obvious type of clutter and it can grow to an out-of-control state rather quickly. Below are five tips to help reduce paper clutter. Discard unwanted mail and paper before it enters your home or office. Remove yourself from junk mail lists and cancel subscriptions to magazines and catalogs that you do not read. Contact originators to be removed from lists. 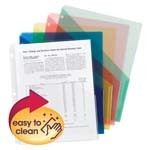 Create an Inbox or tray for papers that need to be processed. 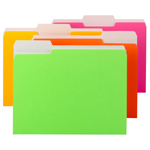 Create four file folders and label them: To Do, To File, To Read, and To Others. Optional folders: To Scan, To Shred. 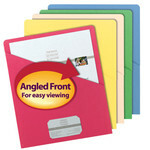 Keep file folders in plain sight for easy access. In a timely manner, separate papers into the four or six categories listed in #4 and process them according to the associated task. Everyone has experienced that frantic feeling when we cannot find an important document or file, but as a business owner or an employee, an ongoing lack of organization can have serious consequences. Here are a few obvious signs of disorganization in the workplace: Surfaces covered with teetering stacks of paper, files and important papers strewn about, empty food containers, and cramped workspace. In addition to the daily frustration of not being able to find things, being disorganized can create a serious problem when critical appointments with key clients are missed or deadlines are not adhered to. Depending upon the circumstances, these infractions can be enough to severe business relationships or be a cause for termination. Here are some staggering statistics published by the Wall Street Journal in 2002. One can assume that the costs are much higher in today’s economy. 30% of all employees’ time is spent trying to find lost documents. As the statistics support, not only does a clutter-free, nicely staged home show better, it is likely to sell faster and for more money than homes that are cluttered and not show-ready. DDD (Delayed Decision Disorder) is the underlying cause of clutter, and chronic clutter can carry a very high price. 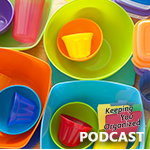 The effects of being disorganized can be seen and felt in so many areas of our lives. Manifestations of clutter can affect us physically, financially, mentally, and emotionally, and by simply removing the clutter from our homes, our offices, and our lives, we can positively impact our moods, our feelings of control, and our overall happiness. 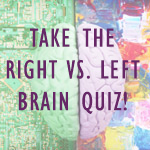 Watch or listen to Andrea's podcast Delayed Decision Disorder.